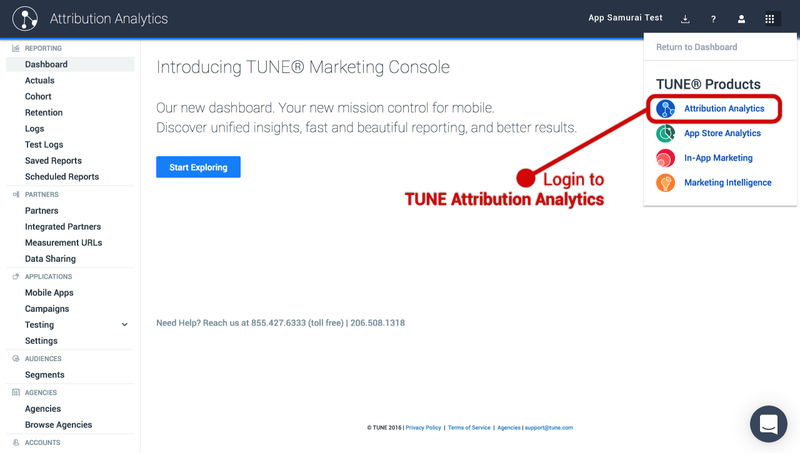 Login to TUNE Attribution Analytics. 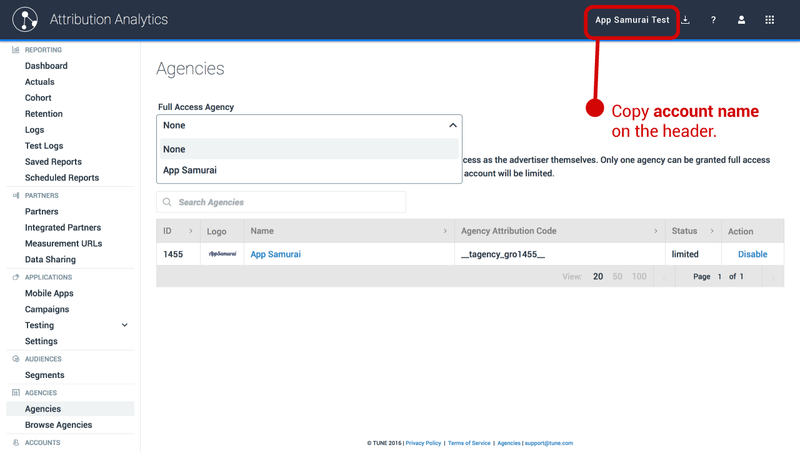 In the navigation (on the left side), click Browse Agencies. 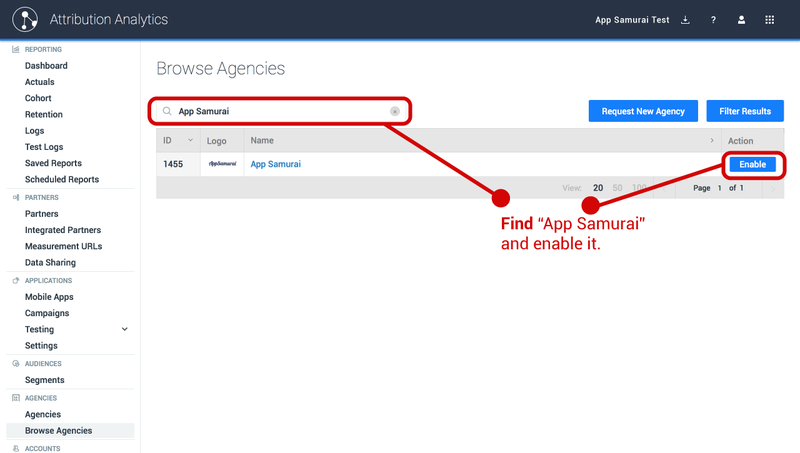 Find “App Samurai” and enable it. 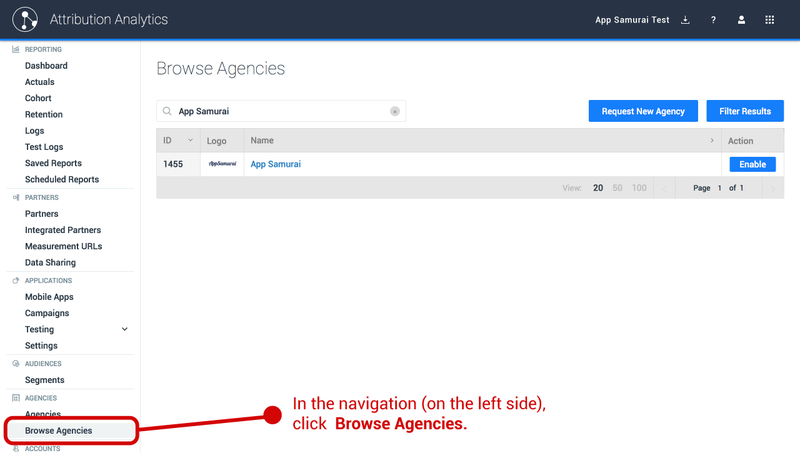 In the navigation (on the left side), click Agencies and give Full Agency Access to App Samurai. Copy account name on the header and verify Tune Access! You have already integrated with TUNE. No need to set tracking URL! We’re doing all stuff for you! If you want to use another tracking service, just click the logo of your provider. Login to the TUNE Attribution Analytics. 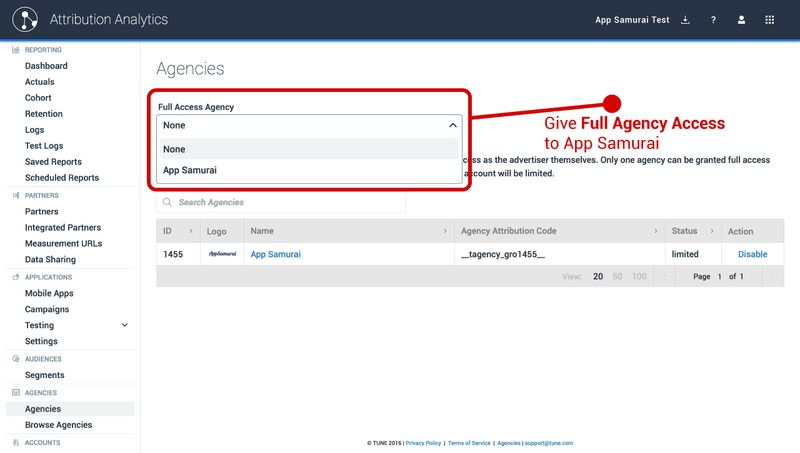 Find App Samurai in the Integrated Partner List and enable it. Generate a TUNE measurement URL and copy it.